Is your phone slow and have a short memory back up time which is considerably decreases day by day? If yes then don’t worry because i have very simple handy solution to this problem! Why Phone becomes slow and has less back up time? 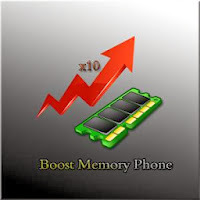 Normally there are lots of applications keep running in the background on the other hand also consuming about most of your RAM (Random Access Memory) due to which your phone becomes slow consumes the phone memory so the memory back up time also decreases considerably. Solution to the above situation is Memory Up! It sets up a Smart management of Java virtual machine (JVM) which manually performs a quick boost for your phone. It also has warning RAM at your pre-set threshold. Memory Up runs in the background so makes an efficient use of the memory of your smartphone. LG: B2000, B2050, B2070, B2100, B2150, C1100, C1150, C2000, C2500, C2600, C3100, C3300, C3400, CG225, CU400 etc. Motorola: A1200, A760, A768, A780, A835, C168, C257, C261, C290, C350, C350M, C380, C385, C390, C450, C550, C650, C975, E1000, E1070, E380, E398, E398B, E398i, E550, E680, E680i, E770, E770-Vodafone, E790, E815, i830, i930, K1, KZRK K1, L2, L6, L6i, L7-Vodafone, Motorola Q, Motorola Q Plus, MPX220, PEBL U6, Razr V3, RAZR V3m, Razr V3x etc. Nokia: 2355, 2610, 2626, 2650, 2760, 2855i, 2865, 2865i, 3100, 3105, 3110c, 3120, 3125, 3152, 3155, 3200, 3220, 3230, 3250, 3300, 3410, 3510i, 3530, 3586i, 3587, 3595, 3600, 3620, 3650, 3660, 5070, 5100, 5140, 5140i, 5200, 5300, 5500d, 6010, 6015, 6020, 6021, 6030, 6060, 6060v, 6061, 6070, 6080, 6085, 6100, 6101, 6102, 6102i, 6103, 6108, 6111,7610, 7650, 8800, 8800 Sirocco, 9210, 9290, 930 etc.